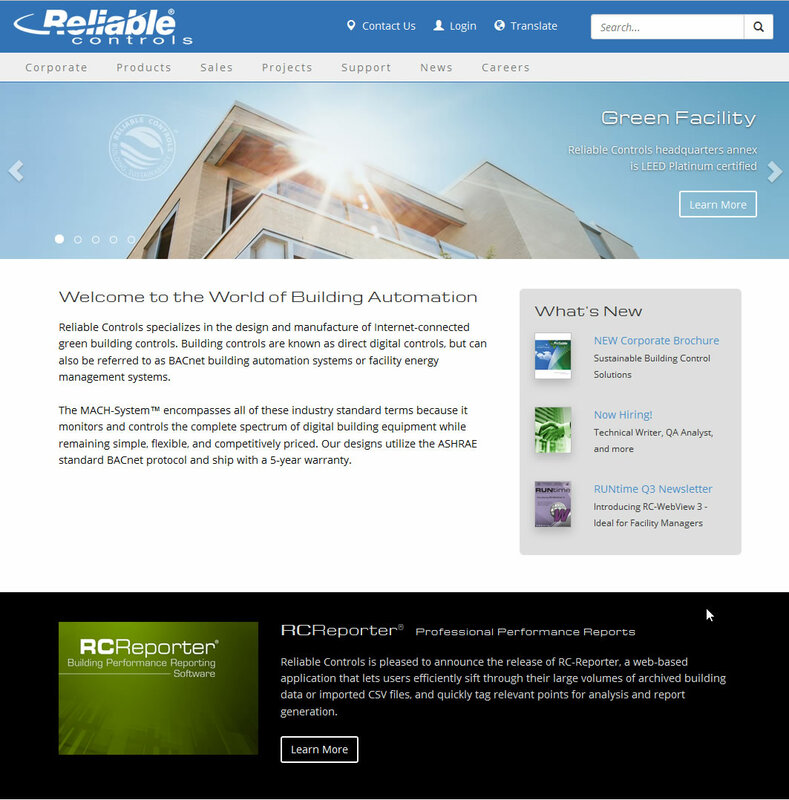 Reliable Controls has launched a complete re-design of its public-facing online experience. Along with a more contemporary design, changes have been made to the site-wide navigation to help you find the information you need faster. The new website rolls out the first phase of our fourth generation design and features a substantially improved user experience on all devices including: smart phones, tablets, workstations, and wide screen displays. The GEN4 site introduces new capabilities like responsive design, enhanced search, and database driven content, so you can find what you want when you need it.